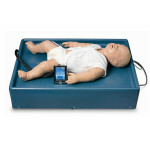 Designed to easily attach to the shoulder openings of CPARLENE and Resusci Anne brand manikins. 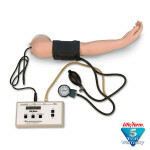 The arm is hinged to swing away from the body for easy accessibility. The arm is programmed to demonstrate the five Korotkoff phases, and an auscultatory gap switch may be used to simulate the auscultatory gap that is sometimes present between Phase I and Phase II sounds. Separate switches control the volume and the optional external speaker system. 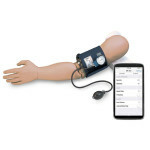 The speaker system can be used to demonstrate the sounds that can be heard while measuring a patient's blood pressure without using the stethoscope and arm assembly. 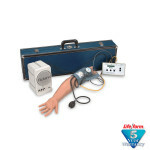 Separate pulse rate control varies the frequency of heart rate from approximately 50-100 beats per minute. 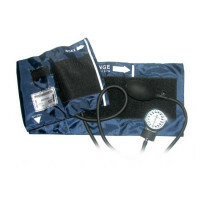 The Blood Pressure Simulator includes a sphygmomanometer cuff and gauge assembly. Low battery indicator lamp. Includes four "AA" batteries. Three-year warranty. Resusci Anne is a trademark of Laerdal Medical Corporation. 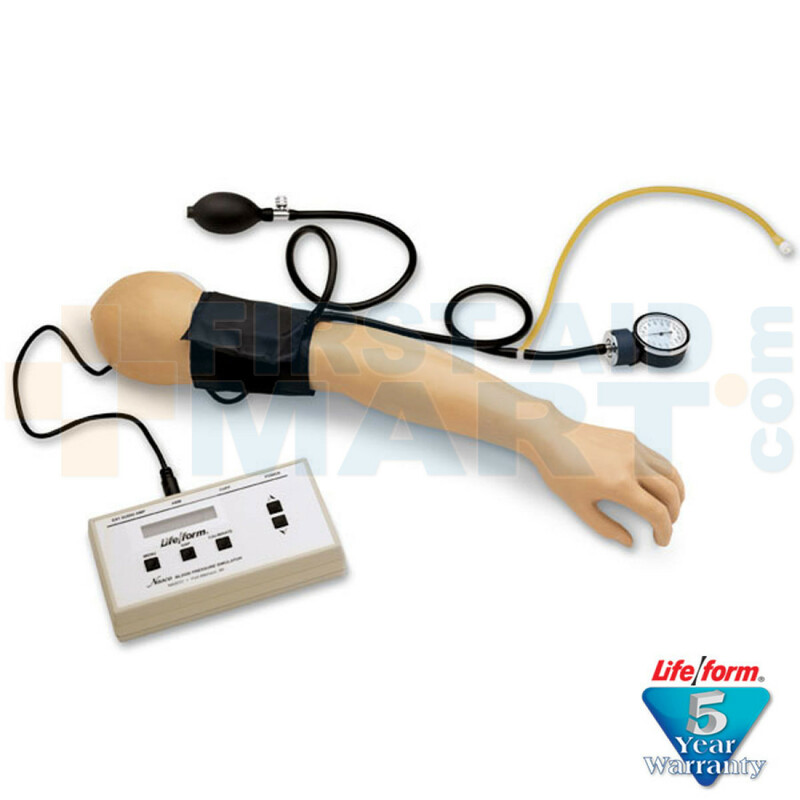 Blood Pressure Simulator (CPARLENE & Resusci Anne Compatible) - LF03204U.